The North West High Court in Mahikeng has dismissed with costs an application by the Mining Forum of South Africa against Lonmin Platinum Mines and the Department of Mineral Resources. The forum approached the High Court to seek an order to suspend the mining licence of Lonmin. It argued that the mining company was not compliant to the social labour plan as the Mining Charter stipulates. Residents of Marikana say no developments were made by Lonmin to improve the lives of its workers and community. The decision to take Lonmin to court by the Mining Forum was to get the platinum miner to comply and exert pressure on the Department of Mineral Resources to hold all mining companies accountable. The forum says Lonmin did nothing in implementing its commitments and was supposed to invest R2 billion into the community. 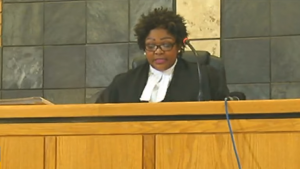 The post North West dismisses application against Lonmin, dept appeared first on SABC News – Breaking news, special reports, world, business, sport coverage of all South African current events. Africa's news leader..